Welcome to TAYLOR PRUNE Sp. z o.o., located in Grudziądz, Poland! Dried Prunes are a popular snack food within the Polish consumer market. Prunes are perfect as an appetizer or used as an ingredient in your entrées, delicacies, sweets, ice creams, cakes and yoghurts. Not only are they a popular item due to their delicious taste, but they offer exceptional health benefits and are a great source of natural fiber, antioxidansts, vitamins, minerals and much more! Since 2003, TAYLOR PRUNE has been operating in Grudziadz, Poland and we aim to continue expanding our global reach with a wide range of organic products. 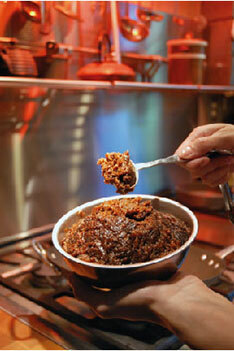 At TAYLOR PRUNE, we adhere to strictest hygiene and safety standarts in the food and beverage industry. We are proudly certified BRC level A, ISO 22000 and PTRE EKOGWARANCJA for all of our organic products. TAYLOR PRUNE guarantees that our consumers will receive American grown fruit. Our parent company, Taylor Brothers Farms, which is headquarted in Yuba City, California, is the largest producer of organic dried prunes in the world and a leading privider of conventional dried prunes and other prune products. At TAYLOR PRUNE, we receive weekly shipments of fruit from our orchards in California. With our state of the art facility in Poland, we then process, pack and ship our product to meet each and every one of our customer's requests. Taylor Brother Farms is proudly certfied by CCOF, USDA, Kosher-Kashruth, NOP, Halal, JAS, and Korean Organic. 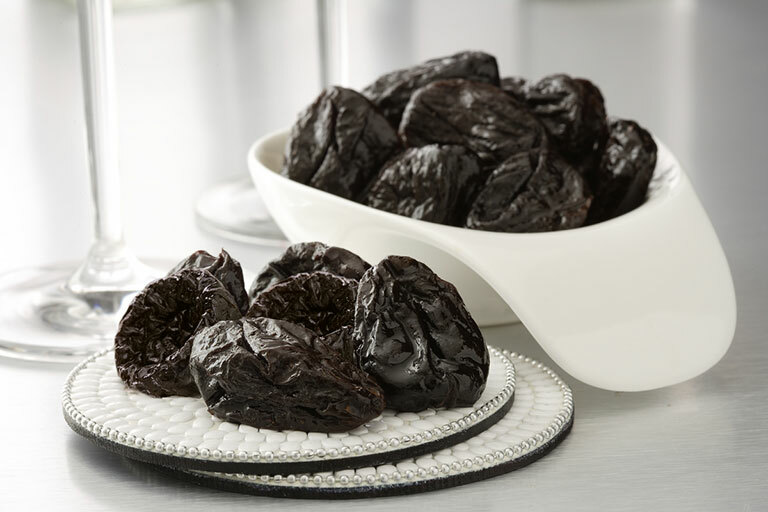 Dried, pitted, California prunes Ashlock type with higher pulp content, perfect for immediate consumption as well as for packaging and as an ingredient in cakes, desserts, ice cream, etc. 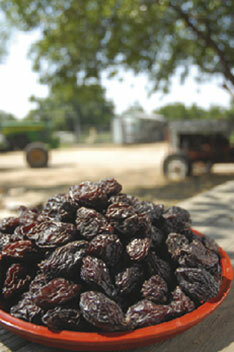 The size of prunes is determined by the number of prunes in 1 pound (0.45kg). It is possible to prepare the product according to specific customer requirements (specified moisture content, preservative content, packaging). The product is available in packages with a net weight of 12.5 kg or 150g. The product is available in packages with a net weight of 12.5 kg. 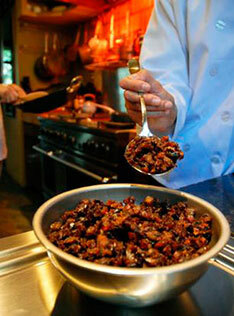 California dried plums, cut in the form of fragments in the size of 4-10mm, according to the customer, and sprinkled with rice flour, used primarily as an ingredient muesli. The product is prepared in packages of net weight of 10 kg. 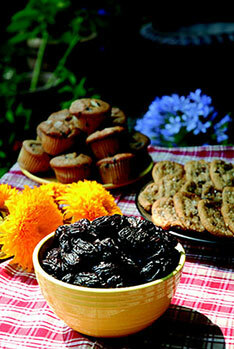 The California prune paste is perfect for filling in bakery products or in addition in dairy manufacturing. The product is available in packages with a net weight of 15 kgs. 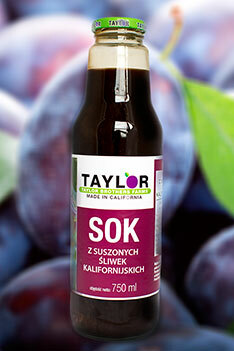 California prune juice containing only natural sugars, which are the body's source of easily digestible energy carrier. It is a rich source of vitamins and natural ingredients. In its composition also contains sorbitol, naturally preventing constipation. Prune juice California made from 100% prune concentrate, pasteurized. 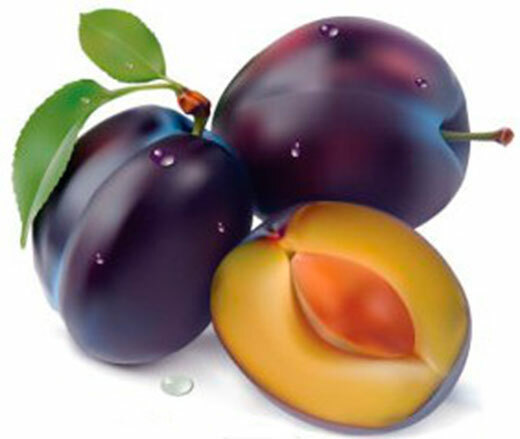 California, prune juice containing only natural sugars, which are the body's source of easily digestible energy carrier. It is a rich source of vitamins and natural ingredients. In its composition also contains sorbitol, which naturally prevents constipation. Prune juice California made from 100% concentrated prune juice, pasteurized. Pomegranate juice is a powerful antioxidant and an excellent source of potassium. Our POM juice is refreshing in flavor and a naturally sweet juice. POM juice made from 100% pomegranate concentrate, pasteurized. TAYLOR PRUNE Sp. z o.o.